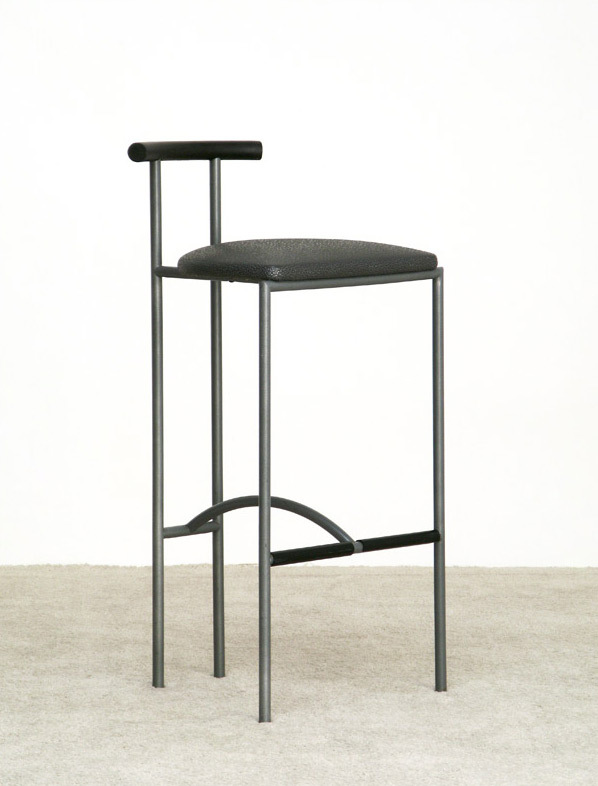 Tokyo bar chair designed by Rodney Kinsman for Bieffenplast Italy 1985. Grey structure with grey vinyl upholstery. Chaise modèle Tokyo, conçu par Rodney Kinsman pour Bieffenplast Italie 1985. Structure en gris avec tapisserie d'ameublement en vinyle gris.